Shocking Allegations! 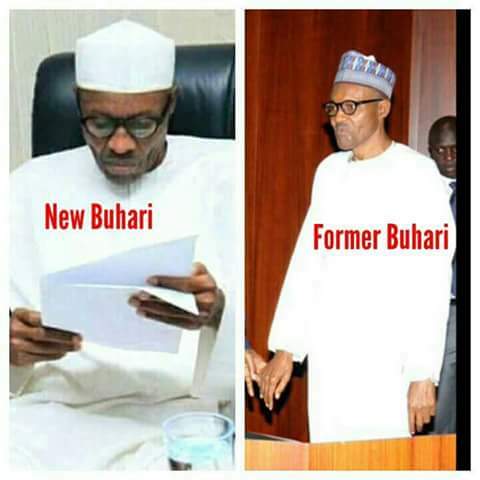 Nnamdi Kanu reveals the fake Buhari is Jubril From Sudan. The leader of the Indigenous People of Biafra (IPOB) Nnamdi Kanu, on Saturday 10th November, 2018 held what the Pro-Biafran group termed a “Special broadcast” in Israel. During the broadcast which lasted for about 3hours, Nnamdi Kanu attempted to prove that the present president of Nigeria is an Impostor, as he (Nnamdi Kanu) claims that the real Muhammadu Buhari is dead. Nnamdi Kanu also said that the US president Donald Trump had earlier given a hint when he said: “I do not want to see that lifeless person again”. The Separatist leader alleged that the present president of Nigeria is a Sudanese impostor named Jubril, who was recruited by Abba Kyari, the Chief of staff to the president, Muhammadu Buhari. Nnamdi Kanu claims that Jubril had undergone surgery in order to pose as Muhammadu Buhari. 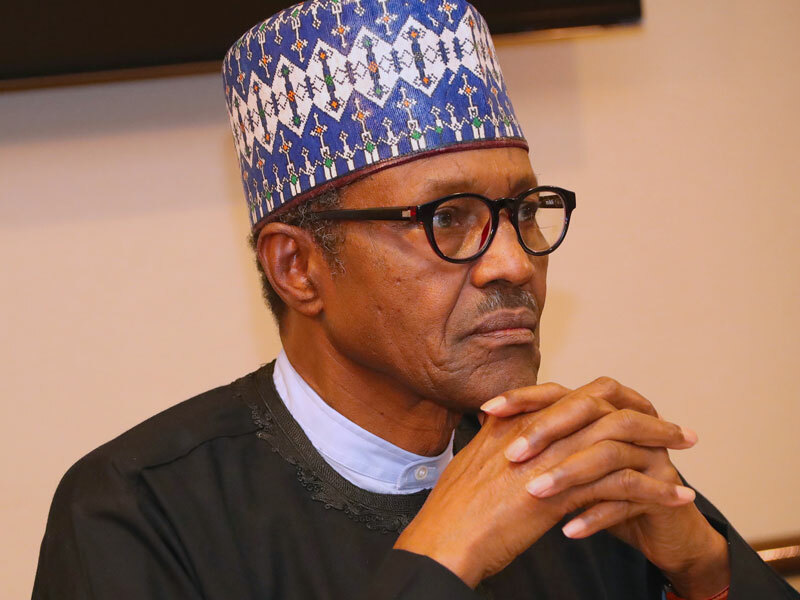 He also claims that the real Muhammadu Buhari died on the 27th of January 2018, after undergoing a complicated brain surgery. Jubril is about 8 inches shorter than Buhari. Jubril cannot speak Fulfulde the indigenous language of the Fulani’s. Jubril’s hairline hasn’t receded unlike that of Buhari. He hasn’t addressed any live conference since his return from his sick bed. Since the return of the president, Aisha Buhari is not seen anywhere around her supposed husband. Aisha Buhari once told Nigerians not to vote Buhari for a second term. Suddenly Buhari doesn’t fall sick anymore and has not gone for medical examination after he had a brain surgery (recall that the president had brain tumour that was affecting his hearing). “How can someone who had undergone such a complicated procedure, had a sizeable chunk of his brain removed not require any clinical follow up or examination” Nnamdi Kanu said. 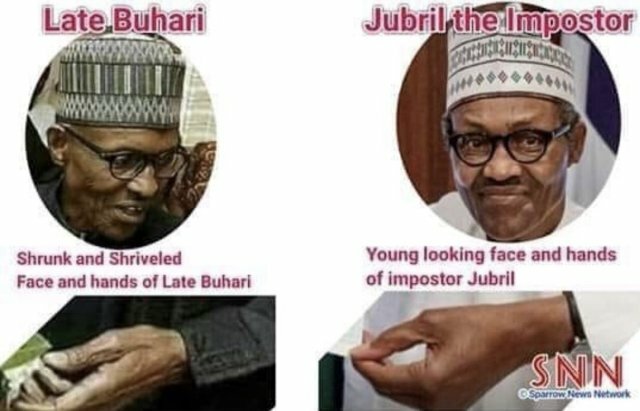 Nnamdi Kanu also claims that the ears of Jubril doesn’t look like that of Buhari since they probably forgot to ‘extend silicone’ to the ears.